Many things can be done in order to enhance your home and one of them is to install a hardwood floor. There are various options of hardwood floors you can choose and some of them come in a style of classy, long lasted and adaptable features which will fulfill your needs. The various options of a hardwood floor allow you to choose the best one according to your specific needs. 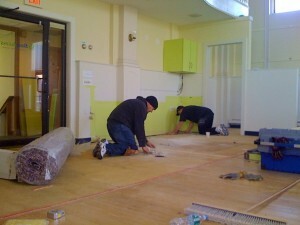 There are various options of colors, types and finishing for the hardwood floors. You also have an option of professional installation. The Hardwood floor installation cost depends on the type of wood you choose, the finishing to be done on the wood flooring and the area that you want to cover with a hardwood floor. Besides, the cost also depends on the availability of wood and labor charges. 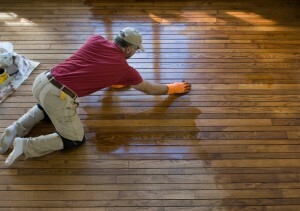 The hardwood floor installation cost depends on these following factors. The first factor is about the type of hardwood flooring you use to cover certain area. The type of the wood really affects the cost that you have to spend. 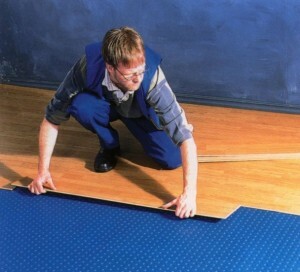 If you want to get the cheaper one then choose the solid flooring rather than choosing the engineered flooring. Besides, strip flooring is also a great option if you are looking for the cheaper hardwood flooring which is easier to install rather than having plank flooring. Consider about having the hardwood floor of acrylic impregnated, because it will provide an excellent benefit rather than other flooring which use hardwood. You should prepare as many as USD 8 cash per sq. ft to install a strip flooring and USD 12 cash per sq. ft to install the plank flooring. The second thing is about the type of the wood that you use where the cost also depends on it. If you choose to install the exotic woods, it means you have to prepare much money, because the cost is really expensive than purchasing kinds of woods such as bamboo. Bamboo only costs up to USD 6 per square feet. Prepare your money as much as USD 13 cash per sq. ft if you want to install certain area in your home with Brazilian cherry or Australian cypress. The third factor depends on the finishing. USD 10-14 per sq. ft is the cost that you should pay for the factory-finished flooring. You can install the factory-finishing flooring directly and there is no need to give any finishing touches after doing the installation. If you prefer to have the cheaper one, it will be better to purchase the unfinished wood. The fourth factor that can affect the hardwood floor installation cost is the labor costs. The costs themselves depend on the type of work you want to do and also depend on the layout area. You will pay more when deciding to add designs and other embellishments. However, if you want to save more money, you can install the hardwood floor on your own without requiring labors. You can get the instructions about the steps to layout such floors and design.